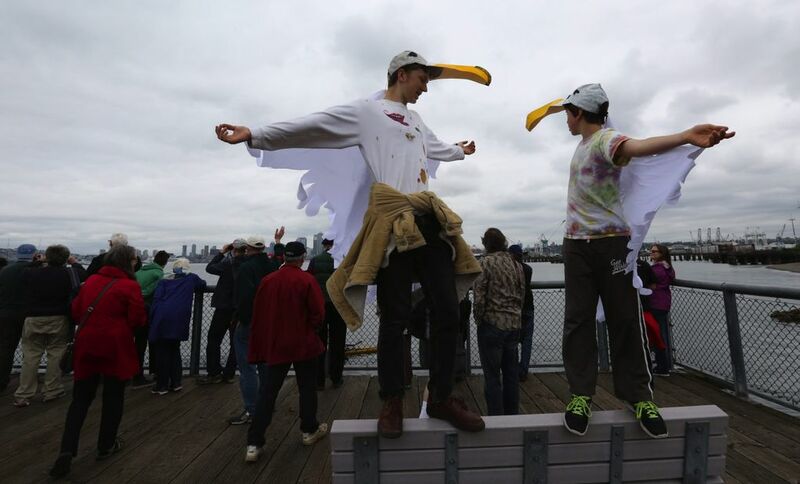 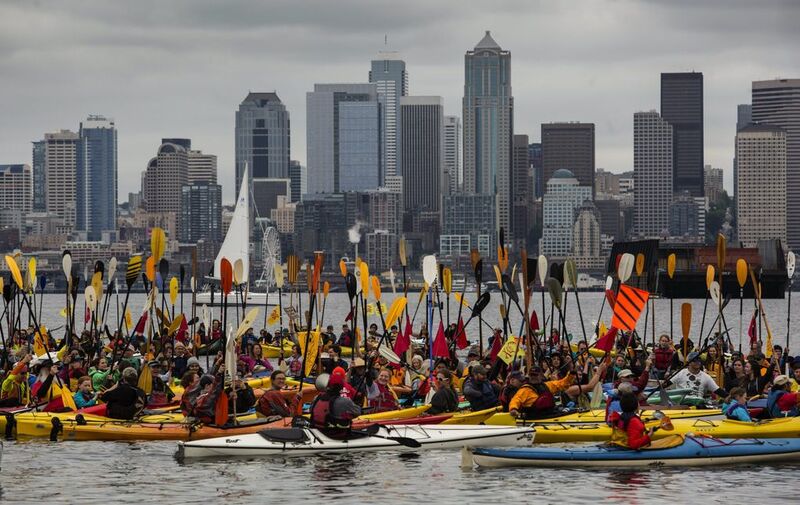 Saturday’s protest flotilla was meant to show environmentalists’ disapproval of the Port of Seattle and of Shell, even if the massive oil rig, the Polar Pioneer, is staying put for a while. 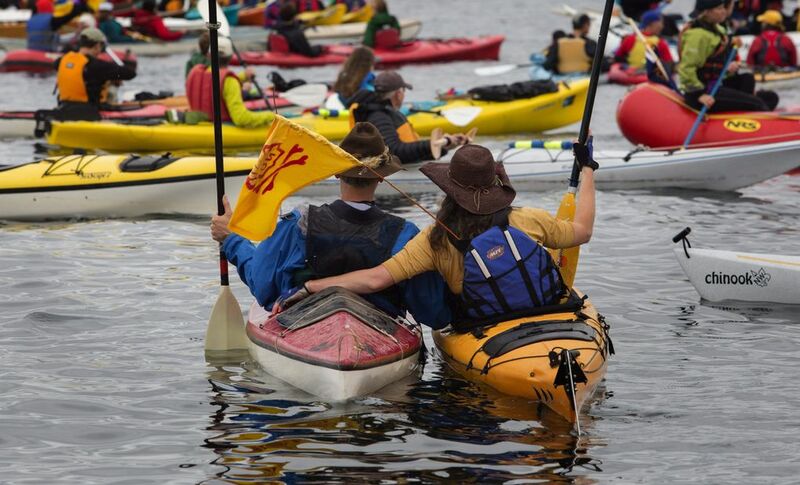 Conrad Ely drove from Olympia with three friends, a double kayak and a canoe. 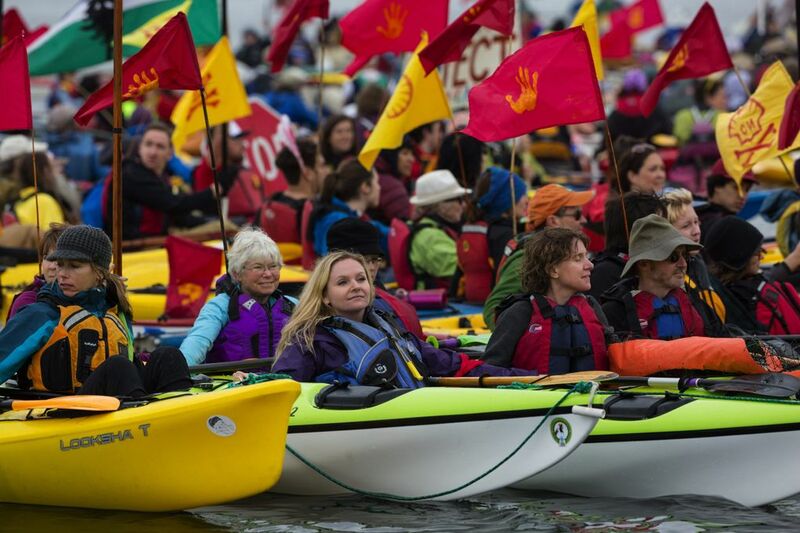 Amy McKendry arrived with her family and a canoe she’s had since she was 8. 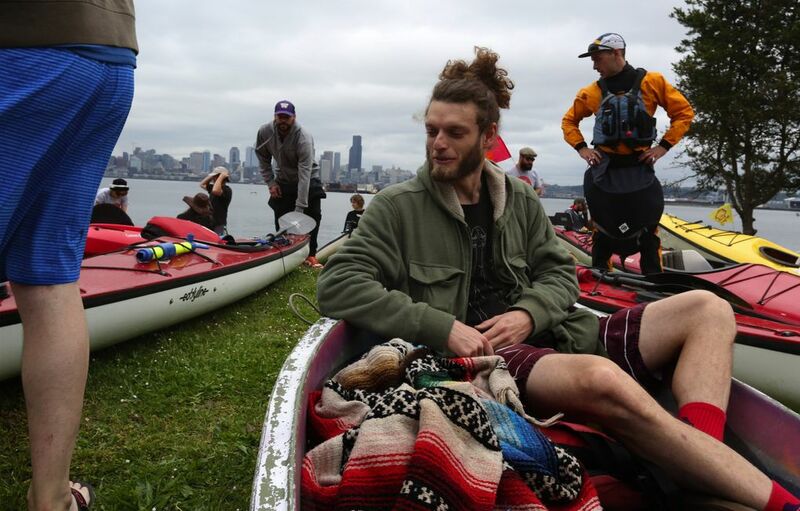 Brandon Juhl came in from Snohomish without a boat, but was able to launch into Elliott Bay with an extra kayak another donated to the cause. 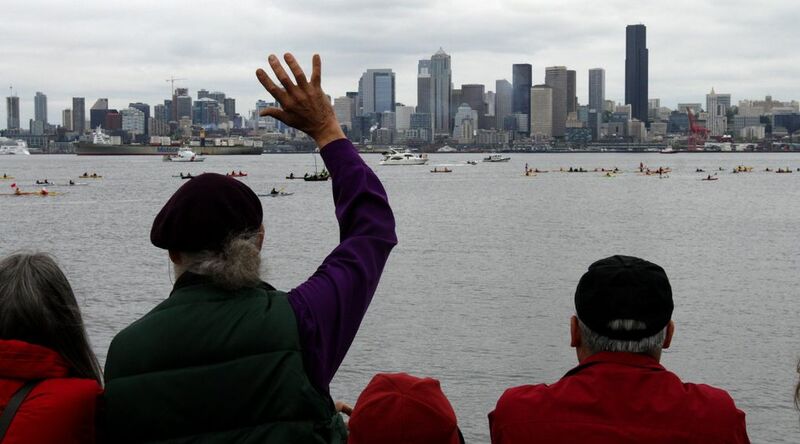 They joined more than 200 other boats Saturday for Paddle in Seattle, a flotilla organized by a coalition of environmental groups, activists and tribal leaders from around the country to demonstrate concern about the impact of fossil-fuel consumption on climate change and to show disappointment in the Port of Seattle’s decision to host Shell’s offshore Arctic oil-drilling fleet. 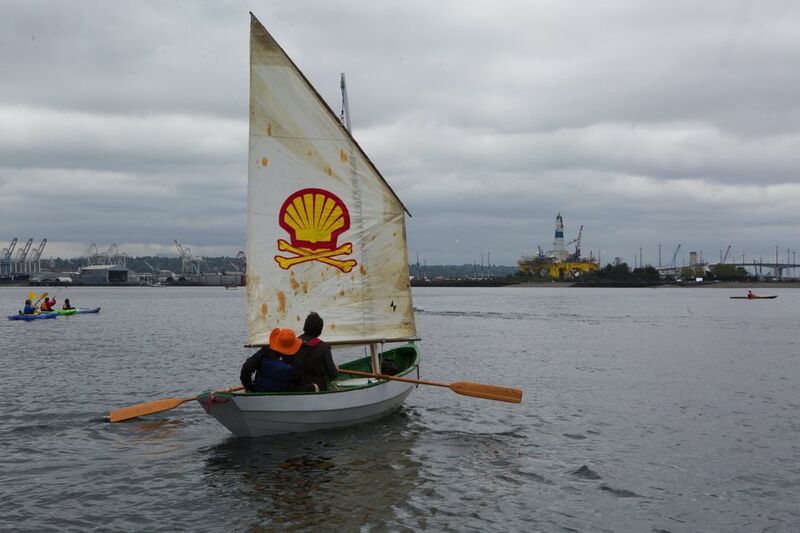 The coalition, Shell No! 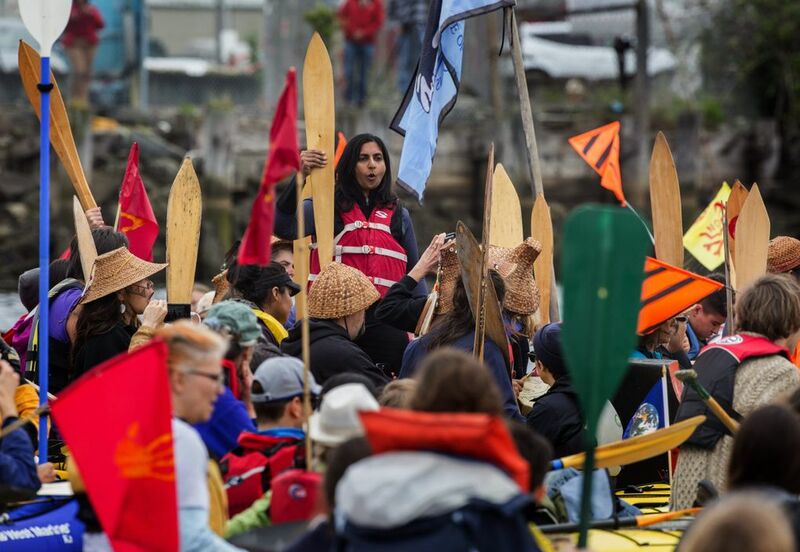 Action Council, has said the protests will culminate Monday with a day of peaceful civil disobedience that will attempt to shut down Shell operations at the Port. 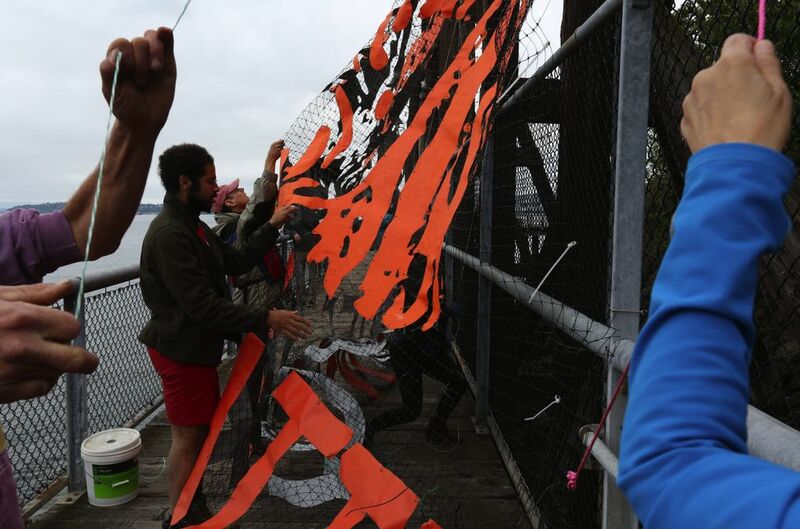 That protest is to start at 7 a.m. at the Duwamish Fishing Dock. 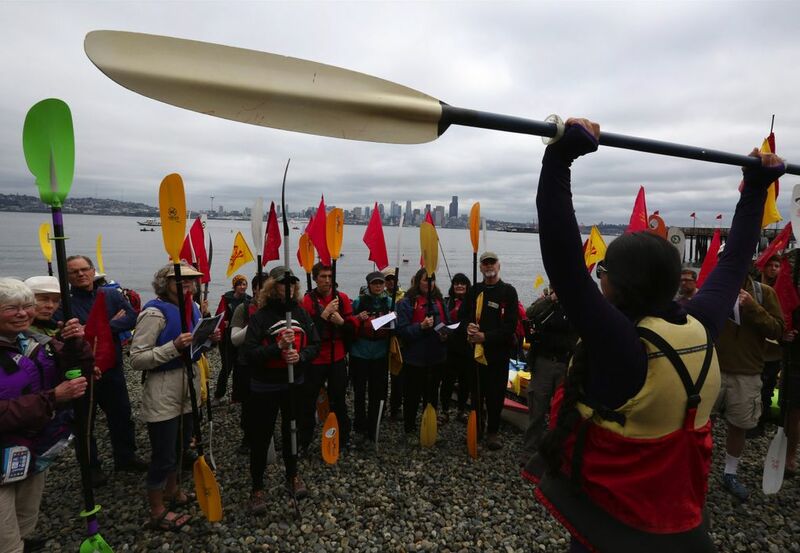 “We are building a movement, and this is how it starts,” said Renny Reep, one of Seattle’s Raging Grannies, who stayed on land with hundreds of other activists for Saturday’s events. 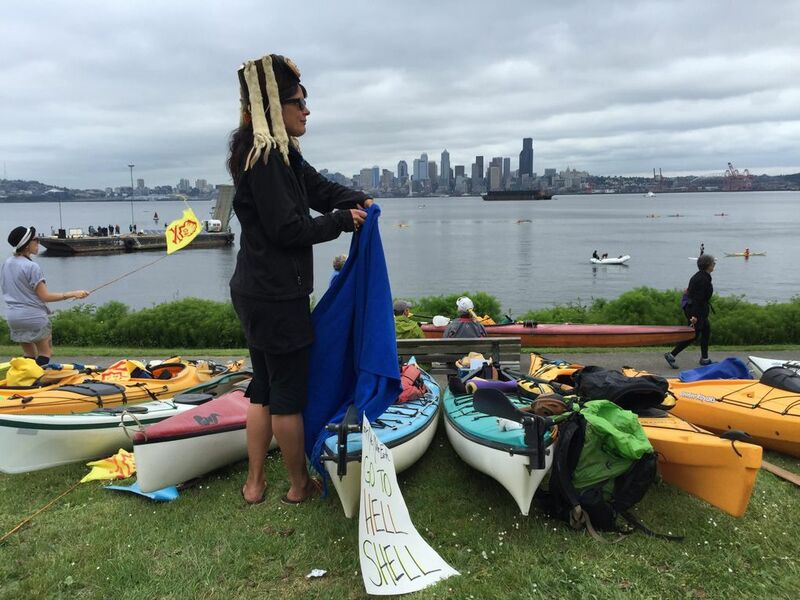 “We just have to stop Shell Oil,” she said. 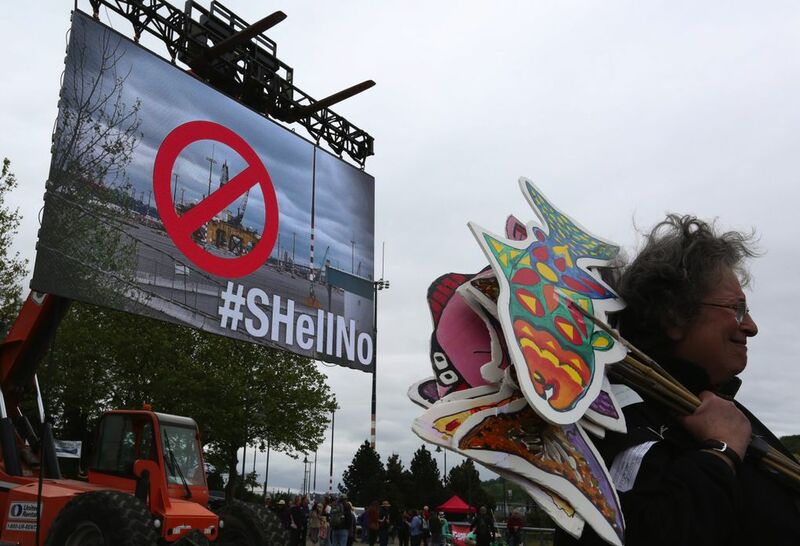 The Port of Seattle’s Terminal 5 has been the center of an environmental and political standoff since the Port commission announced in January that Foss Maritime would lease the vacant terminal to use as a home base for Shell’s fleet during the winter months. 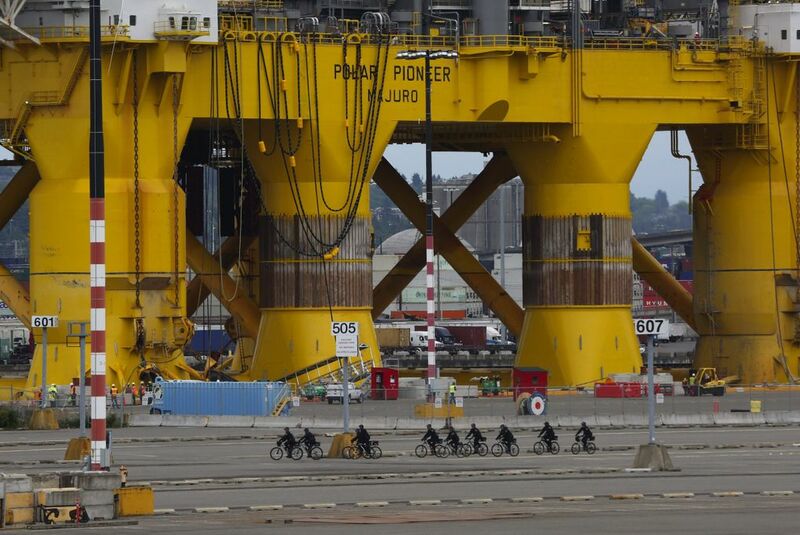 The 307-foot-tall Polar Pioneer oil rig arrived Thursday despite a request by the Port commission that it and support vessels stay away while the Port challenges a city ruling aimed at keeping them out. 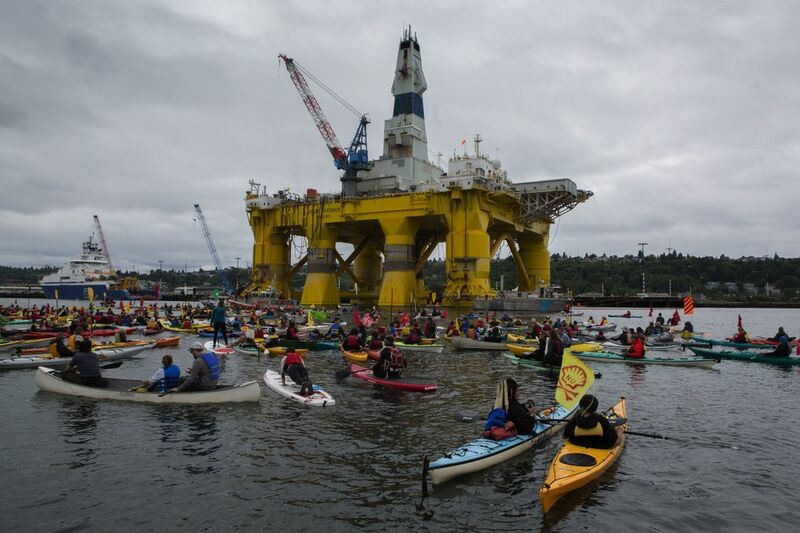 The rig is the biggest piece of Shell’s 25-vessel fleet in the Pacific Northwest that is set to resume its controversial oil exploration in the Chukchi Sea off Alaska’s North Slope. 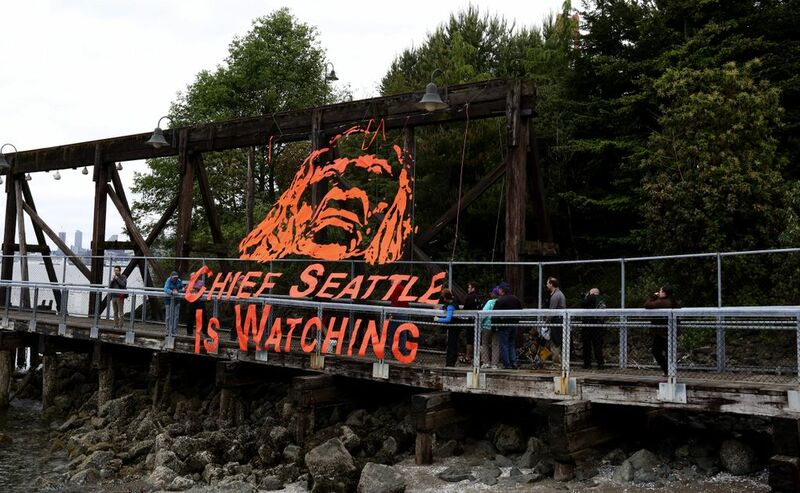 Company officials view that area as one of the world’s top prospects for a major oil find. 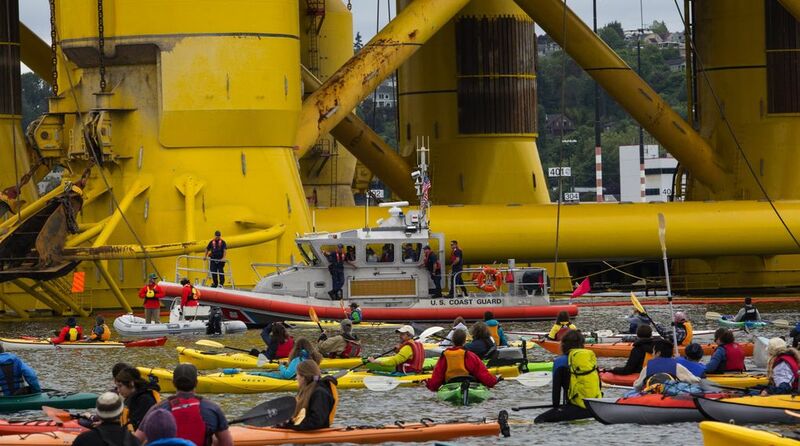 Terminal 5 offers a deep-water berth, and has enough space to handle the big equipment needed to load a drilling rig. 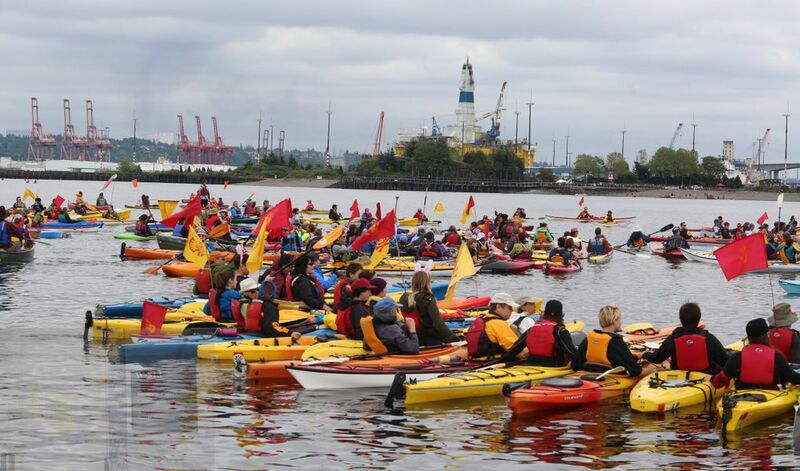 Even if the environmental community can’t change the Port’s mind and send the rig on its way, many on Saturday simply wanted to take a stand. 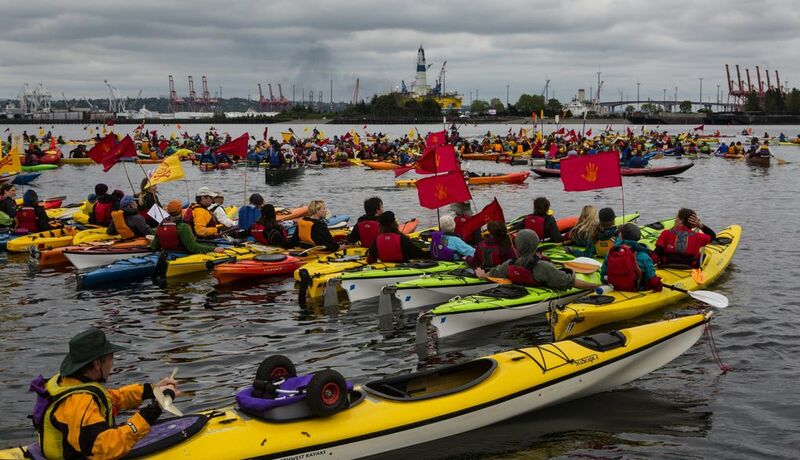 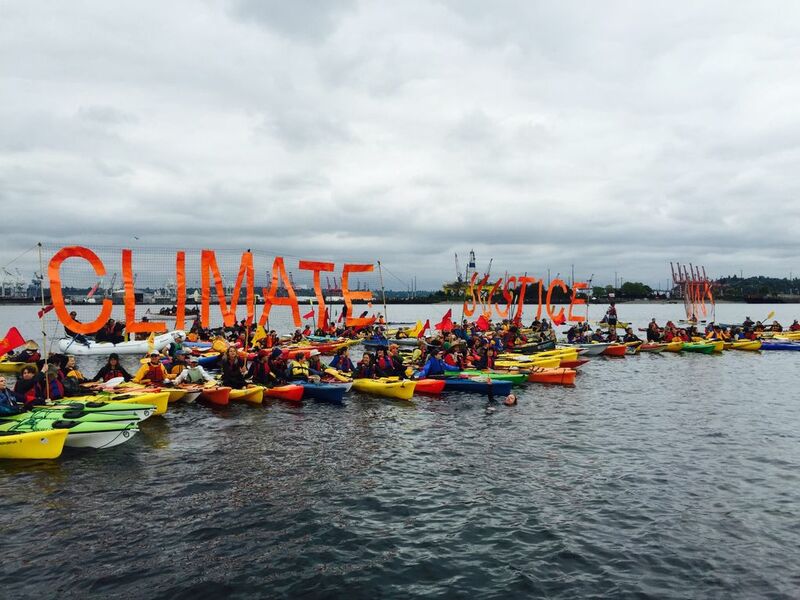 The flotilla of hundreds of kayaks, sailboats and canoes made its way up the Duwamish River to get as close as possible to the hulking oil rig. 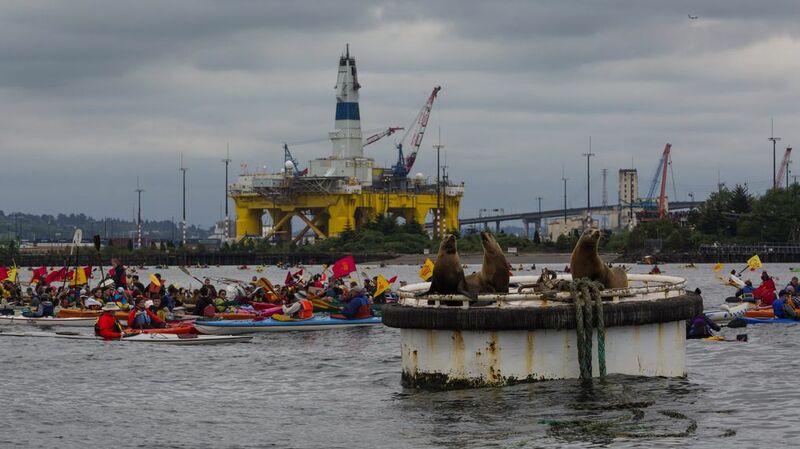 Chanting “Shell No” and banging oars and paddles against the sides of their boats, the demonstrators mostly stayed outside the official 100-yard buffer zone surrounding the Polar Pioneer. 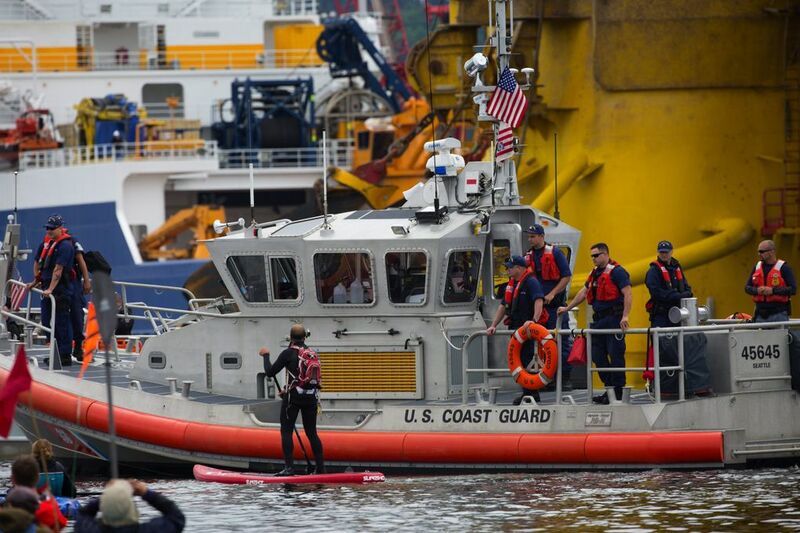 Seattle police and the U.S. Coast Guard were on the water monitoring the protest, and Coast Guard spokesman Lt. Dana Warr said the demonstration remained peaceful. 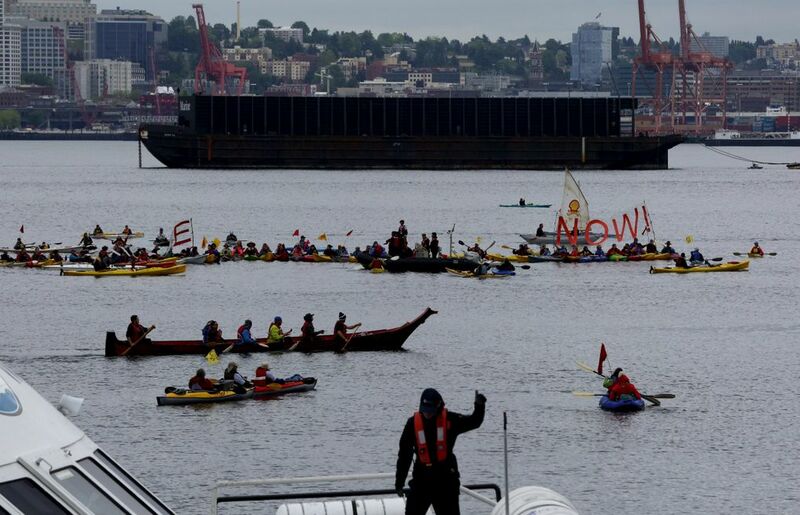 After a couple hours out on the water — less for some — protesters made their way back to Seacrest Park and to Jack Block Park where environmental and tribal leaders, some from Alaska, gave speeches and sang. 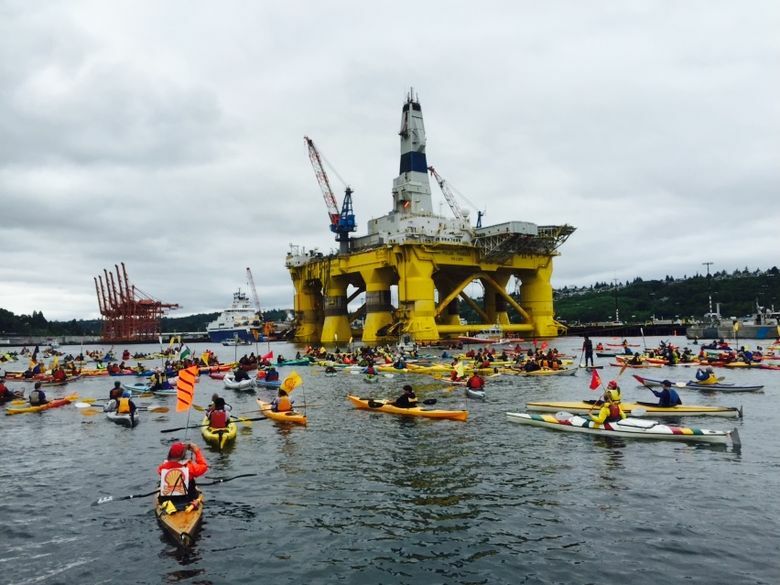 “This was really a show of strength … of how many people are appalled by this” Shell No! 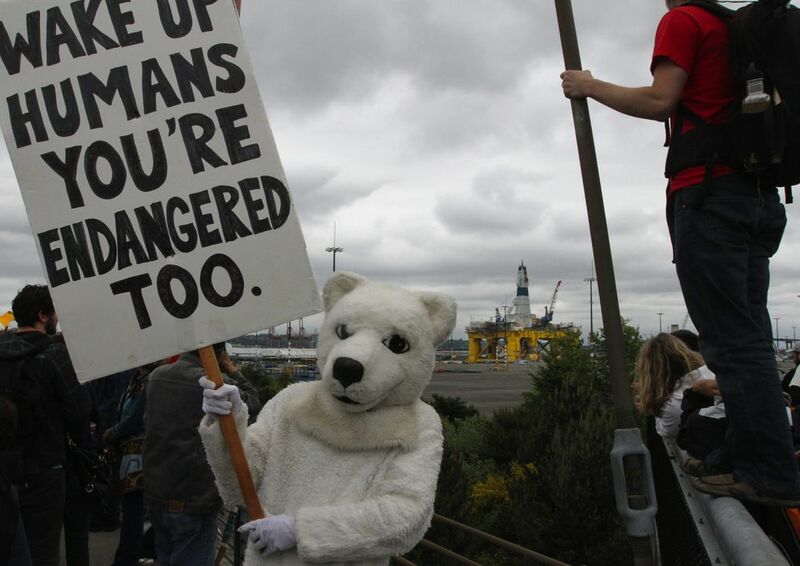 spokeswoman Emily Johnston said.